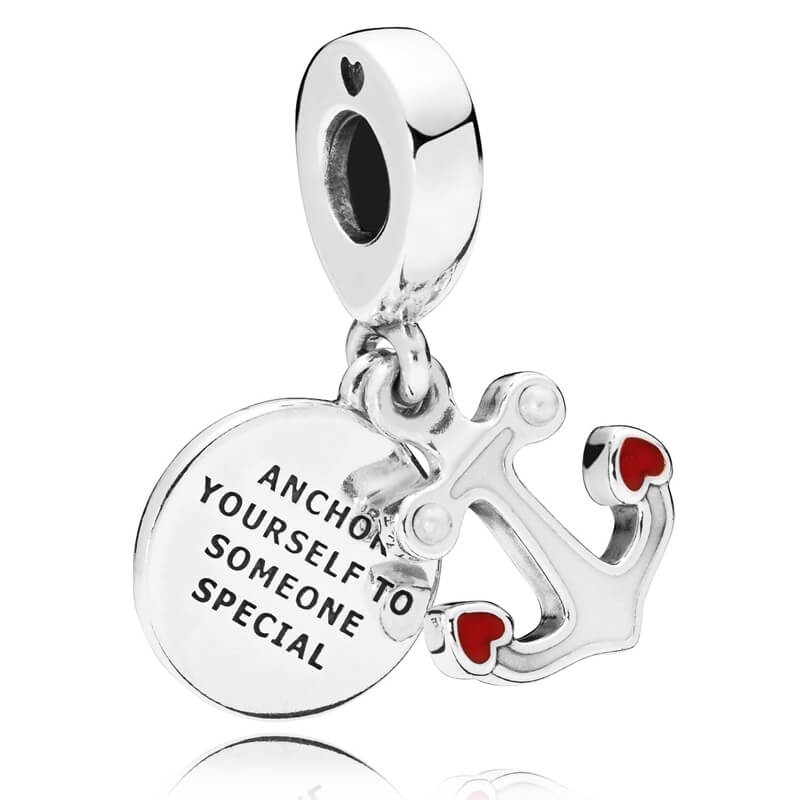 PANDORA Anchor of Love Pendant Charm. A beautiful sterling silver dangle charm embellished with 2 miniature crystal pearls and luscious red enamel detailing. Engraved with 'Anchor yourself to someone special' as a heartfelt expression of love, stability and union.